The American Family Association's One Million Moms website has launched a petition calling for Fox to halt its plans to air a new television series called "Lucifer" in 2016, saying the program "mischaracterizes" Satan and "mocks the Bible." "The series will focus on Lucifer portrayed as a good guy, 'who is bored and unhappy as the Lord of Hell,' the petition states. The premise of the series, which is based on the DC Comics Series of the same name, is that the protagonist, Lucifer Morningstar, decides to leave Hell and move to Los Angeles, the City of Angels, to open up an upscale nightclub called "Lux." 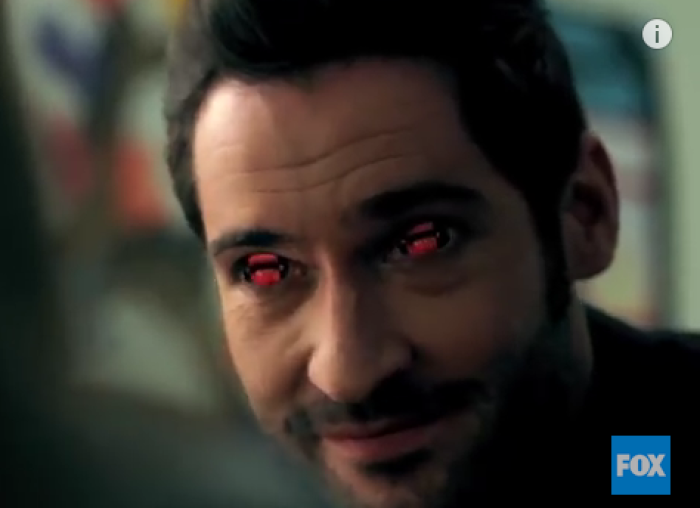 "People like to tell me things, those deep, dark naughty little desires that are on their mind," Lucifer, played by actor Tom Ellis, says in the official trailer. But God is upset with the fact that Satan has left hell and sends an angel named Amenadiel to help convince Lucifer to return to Hell. "What exactly do you think happens when the devil leaves hell?" asks Amenadiel, played by actor D.B. Woodside, in the trailer. "All of those demons, all of those tormented and tortured souls, where do you think they go?" One Million Moms posted the petition on Thursday and thus far, 9,344 "concerned mothers" have have asked Fox to cancel the program by signing the petition. The petition on the AFA website, which was also posted Thursday, has garnered the support of over 51,000 "concerned viewers." "The program previews mischaracterize Satan, departs from true biblical teachings about him, and inaccurately portrays the beliefs of the Christian faith," the petition argues. "By choosing to air this show, Fox is disrespecting Christianity and mocking the Bible." Additionally, the organization has taken issue with some of the non-age-appropriate scenes shown in the official trailer, such as shooting scenes and underdressed women. "Previews of the pilot episode depict graphic acts of violence, a nightclub featuring scantily-clad women and a demon," the petition continues. A Fox description of the program reads: "Charming, charismatic and devilishly handsome, Lucifer is enjoying his retirement, indulging in a few of his favorite things — wine, women and song — when a beautiful pop star is brutally murdered outside of Lux. For the first time in roughly 10 billion years, he feels something awaken deep within him as a result of this murder. Compassion? Sympathy?" After the pop star's murder, Lucifer helps the Los Angeles Police Department try to solve the murder by using his uncanny ability of "drawing out people's secrets." While working with the police, Lucifer becomes infatuated with a female detective's kindness and purity, which causes him to question his own devilish immorality. "Can the devil incarnate be tempted toward the side of Good, or will his original calling put him back toward evil?" the Fox description asks.